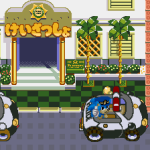 The original version of “Why is Sonic in a car?” is now one step closer to being at our fingertips. The Lights and Winker buttons seem purely cosmetic, triggering sounds and animations on the screen. 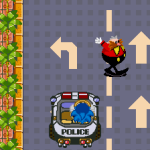 The Accelerate and Turbo buttons allow you to move faster and overtake cars but really have no real influence on the progression of the gameplay, you’ll get to Robotnik regardless. 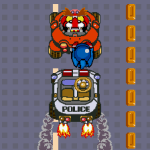 The Jump button has no real purpose until you reach Robotnik, at which point it’s used to jump attack his car, destroying it is optional, the game will end after that either way. The hardware used is the Sega C2 board, the very same PCB as Puyo Puyo etc. It’s a board using the Genesis VDP, but with some changes to the rest of the hardware compared to the home system. The protection chip used on this one is the same as Bloxeed. The C2 driver is one of my older drivers (actually one of my first major contributions to MAME) and getting this running in the C2 driver didn’t really require any additional work, just mapping of the inputs. As of yet, this emulation hasn’t been released to the public, but with it existing it all we’re now much closer to being able to try this obscure piece of history. Below is a small sample of the screenshots taken of the emulated game in action, there’s more provided in Haze’s article above. Will you pay $6 for the original Sonic (again)? 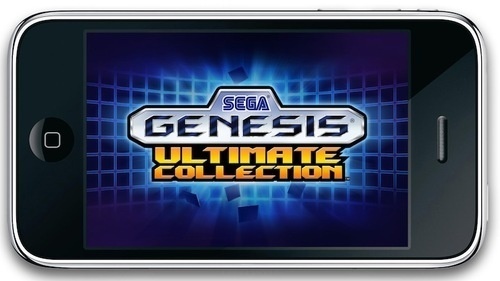 Will the emulator recognize the Sonic app that was released last year? Will lag be present in these emulations? All these questions and more should be answered when the app releases later this year. This video is for bragging rights ONLY (since it’s very cool nowadays) and shows our Proof of Concept 6.10 Custom Firmware running on the PSPgo. This will never be released to the general public or anyone else at all whether you are a dev or not, this is Team Typhoon internal material, we have no reason whatsoever to waste a perfectly good exploit. Finally, Sonic 1 on GBA – Done Right! 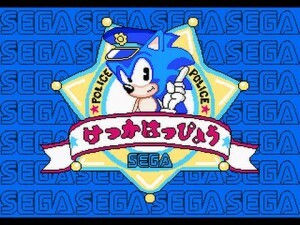 Remember Sonic the Hedgehog Genesis? 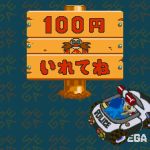 The port of the Mega Drive original for the Game Boy Advance, so shoddy it never got a release in Europe? Well, it looks like jokes of ‘five people making this game in their lunch break’ are no longer appropriate (or funny), because one talented Sonic fan’s decided to make a much better port. That’s right, one person. All one of them. 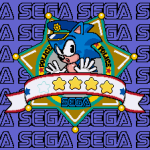 As part of a ‘Proven Concepts’ entry to Sonic Retro’s hacking contest, Stealth has crafted a port of the first three acts (Green Hill Zone) plus Special Zones to damn near perfection – including tweaks such as a spindash, Knuckles and Tails, and a removal of the speed cap. 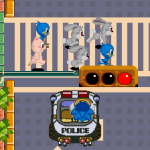 The entire resolution of the original is maintained on the GBA, and it just proves, in Stealth’s own words, “that a Genesis original can be competently represented on the GBA”. Download the homemade port at Sonic Retro’s Message Board; if the link’s giving you jip just click on the address bar and hit enter, you should be able to grab it then.